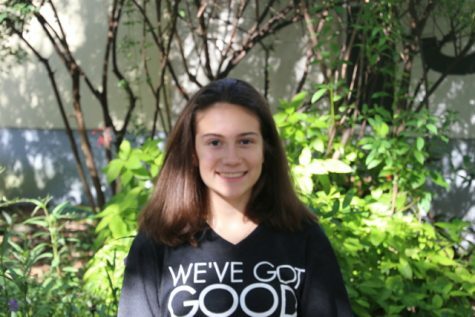 Adriana Meijaard, a sophomore in the International Baccalaureate (IB) program, is an actively involved student at Gables with a unique heritage, personality, and style. Coming from a family that is Cuban and Dutch, Adriana has a very diverse background, contributing to her remarkable ability to communicate fluently in Spanish, French, and Dutch. Adriana sets a high bar for herself and has proven that quality by serving as Treasurer of the Sophomore Class, Secretary and Historian of Future Business Leaders of America (FBLA), and a member of IB Honor Society. She wants to continue being involved by running again for Treasurer as a junior. Although far from completing her high school career, Adriana has an idea of what she would like to pursue in the future. She is very passionate about photography, DJ'ing, and music. By the end of high school, she intends to have a business plan set up for herself and yearns to be an owner of a business pertaining to music festivals and resorts.